Fleet Week in New York is the annual, week-long tradition that takes place in May and promotes the U.S. Navy, Marine Corps and Coast Guard. The first Fleet Week was organised in New York in 1982. 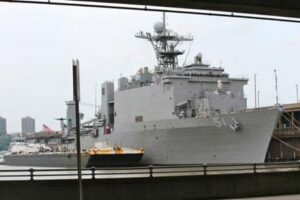 Since then, large naval vessels dock at the New York Passenger Ship Terminal on the Hudson River on the west side of Manhattan and stay for a week. You can admire these big ships from the various piers. You can also take a guided tour of the ships. During Fleet Week, you can wave to the sailors, Marines, and Coast Guard members, as well as see military demonstrations and air shows! When is Fleet Week in New York? The event lasts a week and is always around the same time of the year. 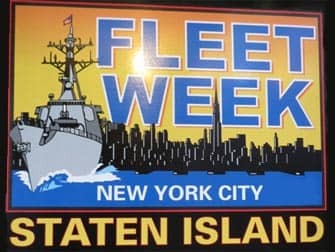 In 2019, Fleet Week will be held from the 22nd to the 27th of May. The boats will be accessible from Thursday until Tuesday from 08:00 to 17:00. 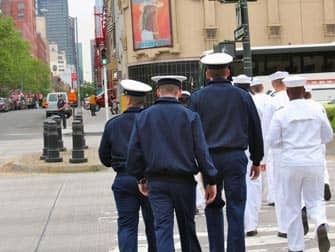 What can you do during Fleet Week? Are you a fan of technological innovations or just want to see an impressive large military ship up close? Then you should definitely go and visit one of the ships! It’s great for children too and there are lots of things to do on board. 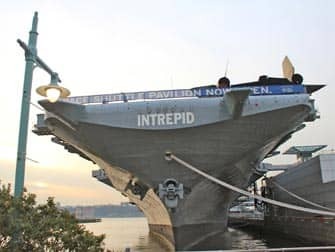 You could also visit the Intrepid Sea, Air and Space Museum during Fleet Week. You’ll need to purchase tickets to visit the museum. There is also a parade of ships to mark the official beginning of Fleet Week. The parade enters the New York Harbor from the Verrazano-Narrows Bridge. 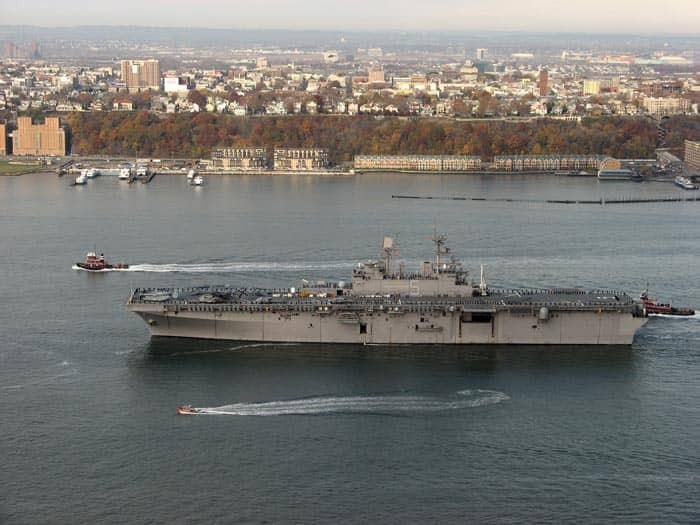 You can watch the parade of ships from along the New York Harbor or Battery Park and Hudson River Park in Manhattan. The very first Fleet Week was organised in 1935 as part of the California Pacific International Exposition. It was the time in between the First and Second World War, president Roosevelt wanted to respond to the global conflicts by increasing the U.S. Navy, just like Germany and Japan did. 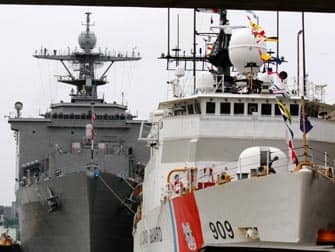 During the first Fleet Week in San Diego there was a big turnout of military ships and aircrafts. The first Fleet Week in New York was held in 1982. Memorial Day always falls during Fleet Week. Memorial Day is the day when all of the men and women that served in the army are honoured. Eric’s Tip: I advise you to head to the ships early, especially if you want to visit one. Since the queues can be very long, it is possible people are sent away from queueing before the official closure time of the ship. You can’t buy any food on any of the boats: there are enough places to choose from at the various piers.